Last week I challenged the Transport Minister to meet myself and other local MPs to speed up the plans for a North Ipswich bypass. Minister Jesse Norman agreed that he would be willing to discuss the priorities for road building in Ipswich – both the proposal for a road north of Ipswich and also the Upper Orwell Crossing (or Bridge). I have to report that I have heard nothing further. I know Mr Norman is very busy and it may take time for him to make space in his diary to meet me, but I am certainly not going to give up asking him. I also told readers that I had asked the County Council how they could justify having so many roadworks running simultaneously. If one road is closed then other roads nearby will naturally have much increased levels of traffic. If two parallel roads are closed then the result is usually complete chaos. I said I hoped there would be a very good reason. I told Suffolk County Council that I hoped there would be a very good reason. I was told there were several very good reasons and that I would get an email to explain what they are. I have to tell you that since last Friday I have had no such email from Suffolk County Council. And in addition to roadworks we also have an increasing number of potholes. 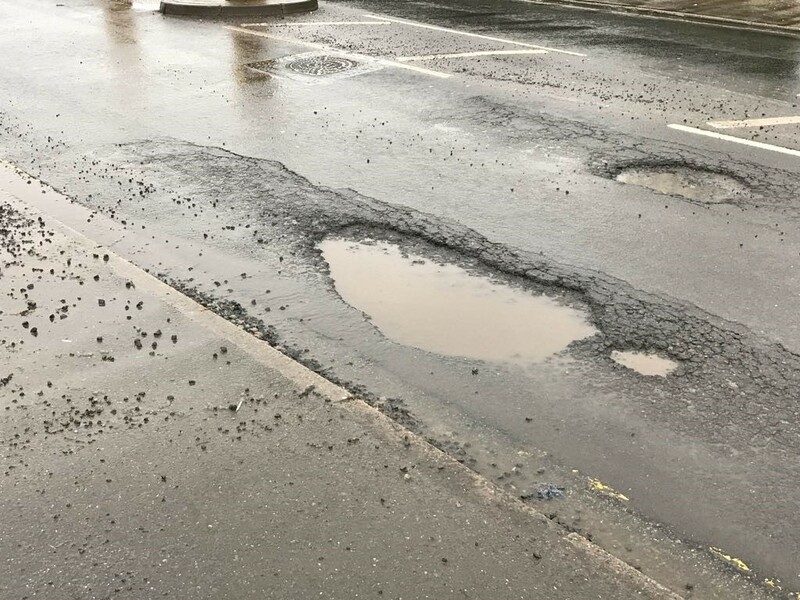 This pothole in Landseer Road has been reported to the County Council six times since 1 January, by members of the public and by local Councillors. Each time the case is closed with the comment ‘added to inspection programme’. 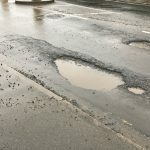 Well, all the readers of the East Anglian and the Ipswich Star can now inspect it for themselves, and see the sort of hole that the County Council does not think is worth fixing immediately. 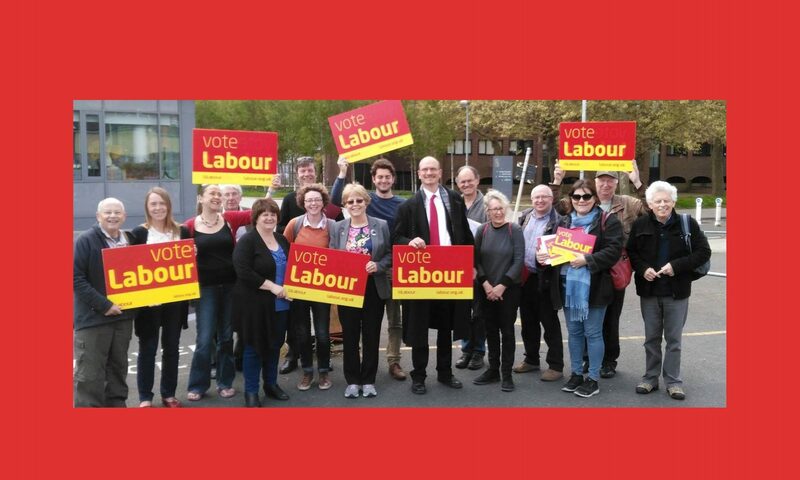 The County Council needs to show that it cares what people in Ipswich think or say. There is no justification for the random and chaotic way in which roadworks spring up across our town, nor for the lack of response to emergency repairs. I wonder if the County Council are actually in control of what is going on our roads. The whole of the Ipswich economy relies on being able to get around. Congestion and air pollution in Ipswich are no longer tolerable. The Government and the County Council appear to be ignoring us. I am getting angry, and I expect you are too. The time for being polite about this is over – we need action, and we need it fast!